Though some memorable defenses have stood the tests of time in the annals of football history, it's the improbable touchdowns and miraculous catches that give successful teams such a winning edge. Being assertive and attacking early is often a recipe for success. With telemedicine, doctors have the ability to offer preventative care by examining patients who might otherwise wait to seek treatment. As in football, making a move too late can be costly or difficult. Telemedicine technology gives healthcare providers an all-star player capable of catching things before they get worse. This benefits patients by intervening and addressing a condition or ailment before it becomes too serious, and reduces the number of expensive, reactive procedures needed. Even with star talent, understanding how to maximize a great player or new technology requires forward thinking and a solid game plan. By having targeted goals and being a bit proactive, both football teams and healthcare providers can utilize existing resources to maximize results. A team of coaches will work tirelessly year-round to analyze needs and develop goals and benchmarks for making improvements and finding success. Likewise, the best healthcare organizations have dedicated staff who are always looking for ways to make care better and more affordable. While a coach may opt for a new style offense or bring in a new player, providers may see telemedicine as a key piece to the puzzle. The right game plan can make all the difference, on and off the field. Football is one of the country's most beloved institutions, and this extends from sea to sea and everywhere in between. You can find folks tossing the pigskin on concrete lots in the inner city, as well as in rural communities in the heartland. Telemedicine has the same power to penetrate communities in America and around the world. Using digital technology and easy-to-use software, remote communities with limited healthcare infrastructure can still have access to high-quality care. Both football and healthcare have undergone great transformations in recent years, and each one has leveraged the latest technologies to improve their outcomes. 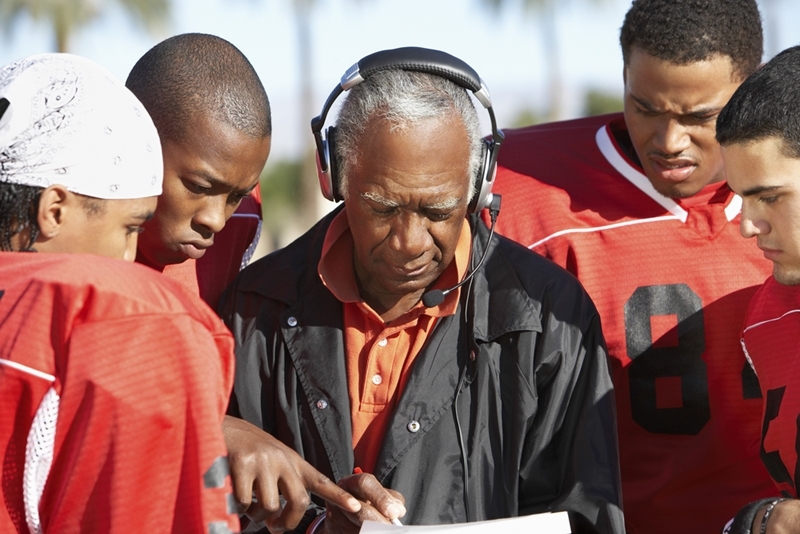 According to the NFL, teams use all sorts of devices and communication tools to develop smarter plays, connect players and coaches and even prevent injuries. Social media and other software are also employed to maximize fans' viewing prowess. Likewise in healthcare, technology can help optimize patient care and workflow efficiencies. Telemedicine technology is an important piece to this puzzle, as it offers providers quicker and smarter opportunities to treat patients. As in football, this sort of connectivity is about meeting new demands as well as offering the best possible care.